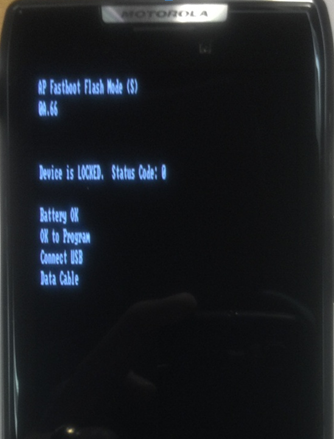 Root NOT Required.. did this on my phone, and it is not rooted. Hey guys.. Having the opportunity to use this great GPS application (was installed on my phone by the phone shop, i must say, it makes a very good back up GPS navigation software if my primary GPS device have problem.. But one day, me and my itchy hands, went to perform a hard reset on my phone.. and i had to install everything from the scratch. Good learning curve too.. after spending several hours looking through the internet, and combining several tricks from different sites, i came up with the best method i have so far.. Sorry i didn’t make this guide with images to make the installation easier.. i have yet to find a suitable screen capture app on Android that doesn’t require root.. I do not want to root my device and expose it to potential system failures and malware attacks. Tools & Software RequirementDisclaimer: this guide is written for Ginger 2.3.x devices. It may or may not work for other devices. Do so at your own risk. Do not come to me if you damage or brick your phone by following this guide. Step 2: Determine your Android Device Screen Resolution. For example, my Motorola Razr Screen Resolution is 540X960. (if you do not know your device’s screen resolution, go to your manufacturer’s website and search for the screen resolution. Step 3: Go to the folder where you extracted the “Papago X5 for Android.zip” file. 3.1. Go to the folder \NaviSEA\Organic. You will see there are many folders with different screen resolution. 3.2. If your screen resolution is not stated there, find one that matches it exactly, and ‘copy-paste’ it within the same folder. It should come out something like “480X854 - Copy” and rename it to your screen resolution. For my case, it is 540X960. Remember, choose the nearest resolution folder and make sure the resolution is smaller than your screen resolution. 3.3. Do the same thing for the folders within CHT, EN, IND, MY. Step 4: From your phone, go to market (or some call it Google Market).. and download the software “Spareparts+” and install it on your phone. Step 5: In your phone’s settings, make sure you enable the option to install applications from others source other than market. Step 6: Connect your Android to your PC via USB cable, for me i used PC mode, and copy the folder “NaviSEA” and the file “PAPAGO_X5SEA_0806_WWEMarket.apk” into the root of your SD Card. Step 7: Disconnect your android device from your PC. Use any “file explorer” softwares out in market. Step 8: Browse to the root of your SD Card and run the “PAPAGO_X5SEA_0806_WWEMarket.apk” file. DO NOT RUN THE APPLICATION JUST YET. Step 9: Run “Spareparts +” which you installed in step 4. Under Compatibility Mode, Tick it and restart your phone. If it is already ticked, untick it, restart your phone. Then tick it again. Step 10: Go to the PAPAGO X5 from apps, and run it. it should be able to run. Note 1: If the application exit on its own, then go back to spareparts and untick the compatibility, and restart phone again.. then run papago x5 to see if it works. Note 2: If the application complaints something about resolution, that means you did not do step 3 properly.. go and do it properly. DONE~! Enjoy your Papago X5. AND, yes, i am aware that the screen looks abit odd.. this is because papago X5 is a rather old navigation software for android, and not meant to be used in the more modern android devices with larger screens.. thus it looks weird. You can however install the later versions, but i never tried it. Papago X5 works well and it is perfect as a back up navigator. I might come out with a guide to update the map later on.. when i have the time..